Going on stage in front of a huge audience to perform in live theatre can be daunting. Going on stage on your own with no scenery or costumes and only light cues to support you must be terrifying. You don’t get any indication of fear from Charles Ross, the man who bought you ‘One Man Star wars’ over the last few years. When the lights go down there’s no waiting, no pause. Before your eyes even begin to adjust to the gloom you see the faint shadow of a man strut on to stage and stand in the centre, his voice whispering the opening lines of Peter Jackson’s first Lord of the Rings movie ‘The Fellowship of the Ring’. The lights come up, the first joke is cracked, and the re-enactment begins. Now, we’re not talking about a full-length line-for-line copy of the movies here. That would be mad. What Charles Ross has done is take segments of the films, those snippets that you remember for both their visual impact and memorable dialogue, and strung them together to create more than an hour’s worth of fast-moving and extremely funny material, all delivered breathlessly (well, almost) by a solitary figure throwing himself about with abandon on a bare stage. He manages to convey each character exceptionally well, not only through the voice acting but also through visual cues – throughout this entire show it’s just him on an empty stage with a black boiler suit on – so when he takes on the role of a certain character he stands in a certain way or does a simple mime. With Gandalf he held an imaginary staff, with Legolas he would run his fingers through invisible long and well-kept hair, with Gimli he’d stoop. Even Treebeard had a stance that made him instantly recognisable, with Charles expanding his body outwards as far as he could and taking long thumping strides. Even without these visual aides his voice acting was excellent, especially Frodo and Gollum, and his Saruman was almost perfect. The show requires some knowledge of the books to help the audience through, even more so the films as some of the movements and even facial expressions mirror the performances given by the actors in the movies. That’s part of the show’s cleverness – the fact that Charles Ross has obviously watched the moves over and over to help perfect his performances and judge what lines to use based on their importance and impact (and it was no doubt the Extended Editions he watched as at just the right moments during the performance he would slip in the line ‘change the DVD’). His jokes were well-timed and spot on (I won’t go into detail as to what they were as that’d just ruin it for you) and they caused chuckles to belly laughs to outright laughter. He received more than once a well-deserved round of applause for his jokes, especially the little jokes he’d just slip in here and there to accentuate an already funny performance. Even lines from the movies were getting laughs. After the show and the very long round of applause he graciously received from a very appreciative audience he sat down and told us about how this show came about, and there were even a couple of surprises in this little informal chat he seemed to behaving with us. This story, with him sat cross-legged on the stage with a half-empty bottle of water made the whole thing seem very intimate and put a fantastic full stop to a funny and entertaining evening. So, I came away a happy and thoroughly entertained man. I’m great lover of Lord of the Rings – I’ve been a fan of it since 1979 – so I’m usually critical of interpretations of it, but considering that I’m a lover of the movies and this one man show is his comedy version of those movies then there wasn’t anything in this show I didn’t enjoy. You have to know the movies or the book to fully appreciate it, but then you wouldn’t be going to se something like this unless you already knew them. I’m a huge Lord of the Rings fan, and I can’t recommend this show enough. Dragon Warriors - When worlds collide!!!!! I've been running my Dragon Warriors campaign for three sessions, now. I started the game during the Third Crusade whilst Prince John was regent of England. There was magic in the land but it was receding and the player characters, who all knew that magic existed and that fell creatures stalked the shadows, were trying to survive in a dangerous land. The game took a slight change of direction in the last session. They had been hunting a Knight named Chevalier de Languille who had killed one of the PC's brother in the Holy Land to get hold of an old Roman gladius. He then fled to England, where the PC followed and the other PCs joined him in his quest to avenge his brother - and at the same time escape from an Icelandic trader who had betrayed them to some local Lords on the south coast. The trader figured the PCs would die in a handover of useless goods the Lords had bought from him as supplies for their pilgrimage to the Holy Land, or at least take the blame, but they escaped. Now the Lords and the trader are hunting the PCs. The trader wants them silenced, the Lords want their gold back. Now, it seems, that the reason that much of the magic and Fey creatures and races have left the world is because they have found another world where they can live in relative peace, where the power of the one God has not driven out the many and they have space and power to dwell. The way to get to this land, this Land of Legend, is by allowing yourself to be cut by a Roman gladius forged by the great sorcerer Agrippa a thousand years before, weapons he designed so that entire races could travel to Legend where they might find peace. Once your blood touches the blade a bloodspell takes effect and sends you to Legend (the land as detailed in the Dragon Warriors books). In the last game a decision was made by the PCs. It was obvious that Chevalier de Languille was going to use the Roman sword for his own purposes and possibly travel to Legend. The PCs decided to use three swords they had found - after a dungeon crawl through the crypt of a local Baron (a friend of Languille) who was obviously planning to travel to Legend himself - to travel to Legend to see what was there, to find out what Languille might have in mind. So, at the end of the last session they cut themselves on the Roman blades and travelled to Lands of Legend. They awoke on a beach south of the Pagan Mountains. The Roman swords were gone. They have no idea where they are and have no visible way of getting back home. Now, I never intended to bait and switch the players - the use of the swords was an option not a requirement, and if they did decide to use them later in the game that was their choice - but now the game has suddenly changed from 'chase Chevalier de Languille across England' to 'find a way back to the real world from the Lands of Legend and then chase Chevalier de Languille across England, that is if he hasn't already come to Legend for his own purposes'. 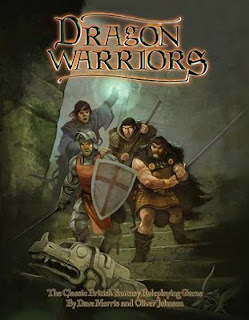 The Dragon Warriors system handled the game perfectly as far as dice rolls, mechanics and pacing is concerned. I will be using the variable damage system from now on as the set damage for weapons was somewhat dull. I would also love to see some variance on the careers as I have two assassins and a Knight in the group and, apart from some skills, they're pretty much the same. If the makers of the game could create outlines, skills and level increase details for other careers - such as Ranger, Soldier, Brigand, Bard, that sort of thing - it would open up the world even more. In fact, a book with a layout like the recent 'Friends or Foes' would be perfect if they had twenty-odd careers, each one two-three pages long with descriptions, initial stats, skills and rank advancement details. Up to yet, though, the system works fine and has a wonderful old-school feel to it. All of us playing, me and my three players, are experienced gamers and we're having lots of fun with it. This is a post I put up on www.rpg.net regarding motivations for characters to get involved in adventuring. I figured I'd share it. I'll be honest with you - I've never really looked into a character's pre-game history that deeply. When I create a character the personality forms as the stats are created, even more so if I'm rolling randomly, but that's about as much character detail as I like to go into. All I know is that my character will be going on some highjinks adventures (it's why I'm playing the game, after all) and for that initial game I need a reason to get involved. More often than not he'll be looking to take the plunge to improve his lot in life (ie 'looking for fortune and glory'). It honestly depends on the type of game I'm playing - most of my fantasy characters are looking for fame and gold, but my MechWarrior character was a strong Davion special forces soldier who gave his oath to his house, my Golden Heroes character wanted to fight the good fight, my Shadowrun character wanted to haul himself out of the gutter. In general, though, I like to start my character off with a simple, regular goal so that I don't have to think about who he is, what he's like and why he's doing it. In those first few games I'm looking for some plain, unmoulded clay. As the games go on he develops and the character grows. Depending on what happens to him in the those first few adventures, probably the first few adventures he's ever had, will determine the sort of person he becomes. Up until then he could have been a simple, unassuming person who was just plain nice. After eight games trapped in the plague-riven dungeon of Hell he could turn into a cynical backstabber who just wants to live, or after a few games pushing back the tides of evil he could be a flag-waving do-gooder who fights for the honour and safety of the good people of the land. I honestly won't know until the games have been played out. For that inital jaunt the majority of my new characters start out somewhat selfish and then maybe find their altruistic tendencies, depending on the game the GM runs. It's not the only choice - and the majority of my players like to detail their backgrounds and dig deep to find their reasons and that's fine - but it's a way of getting initially involved that works best for me because I like my character development to happen during gameplay. I'm hoping to see this at my local theatre soon, but in the meantime here's a short review. Well, what can I say? If you thought that the characterisations and impersonations that Charlie Ross did on his One Man Star Wars show were good you won’t be disappointed by his latest adaptation, One Man Lord of the Rings. After finally getting clearance from the powers that be to go ahead last year for this show (after impressing Sir Ian McKellen at a performance of the show) he has now signed up over 40 dates on this whirlwind tour of the UK, details of which can be found on his official website www.onemanlotr.com. Not only did he capture the majesty of all the movies in the trilogy in his own unique style, but he also cleverly made clear reference to all the characters by using Aragon’s facial expressions, Legolas’s hair, Gimli’s beard or Gandalf’s staff to help those in the audience who weren’t sure who was speaking, which would have been surprising considering his outstanding vocal talents. Don’t get me wrong, his versions of the various Orcs on offer were brilliant and the deep haunting Treebeard was good too but you don’t really appreciate those until you hear his rendition of Gollum. Throughout the show Charlie flowed with fantastic energy throwing himself around the stage for the many fight scenes and set pieces, often using just facial expressions when necessary. I wouldn’t wish to spoil it by giving away little bits that make it extra special, so you’ll just have to grab it when the show visits a town near you. I'd like to welcome to the blog James Semple. He's a talented composer and experienced gamer, the man who bought you music for the games 'Trail of Cthulhu' and 'The Esoterrorists'. He kindly agreed to answer a few questions for Farsight Blogger. I've been playing RPGs since I was 11 and playing music since I was 18. My first game was D&D and my first instrument is guitar. My first real musical inspiration was watching Star Wars, I remember being blown away by that score, even as a kid. I took up guitar and played contemporary music for years, mostly focused around live performance. A few years back I built my own studio in my back garden and have been writing and recording orchestral music since then. Nowadays I write and record in pretty much all styles and I have a lot of projects on the go. 2. How did you get into RPGs? Well, like a lot of Brit gamers my age, I was brought in through the gateway drug of the Fighting Fantasy gamebooks. Someone bought me Warlock of Firetop Mountain as a Christmas present and then I think I moved on to RPGs within about six months. The games proved popular with a lot of my friends and so I played a good mix of fantasy board games (like Dungeon and Talisman), miniatures gaming (Warhammer 1st Edition) and actual RPGs. 3. What are your favourite games? Over the years I have played a ton of systems. At the moment I'm not playing much and I'm playing board games more (love the BSG board game). I guess overall the Cthulhu games are my favourite and I've played a lot of Call of Cthulhu and Trail of Cthulhu. I think Mutants and Masterminds is an exceptional system and I've had a lot of success running that. It seems to capture the spirit of comics and flexible powers really well. I ran a short game of Aces and Eights and loved it but wow that system can be tiring to run! I think the Star Wars Saga system works pretty well and I've both ran and played a few excellent games of that. It seems to work well with an ensemble and allows everyone to feel that they're contributing, even in space battles. Funnily enough, considering that the mediaeval fantasy genre is so overpopulated in RPGs, I've never found a system for that which I really like. I think RuneQuest III was possibly the closest I got to it. Always open to suggestions! 4. Where did the idea come from to write music specifically for RPGs? Oh, good question! Hmm ... I don't remember specifically. I do remember that we'd started listening to music when playing our own games: a lot of the usual suspects like film scores and videogame scores. It then occurred to me that I could just write my own. One of the advantages (which I'm pleased to say has been noticed) is that original RPG scores don't distract players by reminding them of other films or games. I approached a couple of companies to do this commercially and I'm very pleased to say that I've been working with Pelgrane Press for a couple of years now. They're very nice people and have a high quality of output with top writers and artists. It's nice to contribute to the overall atmosphere of their games. I'm planning to write more with them in the coming months. Some of the tracks I've written were actually for specific scenes in our own gaming sessions. 5. Does RPG music have any unique aspects? The other way would be to focus the music on specific scenes. Obviously the GM would be doing this and has to be careful to not spend too much attention on the music because it would detract from the game. I've done this from time to time and it can work well. You can make playlists for fights and investigations and horror, etc. In terms of writing the music this gives me the challenge of writing something worth having on in the background that doesn't distract the players. It's very much like writing underscore for dialog. I try and avoid frequencies that interfere with human voice too much. The trick is to use short motifs than can be developed and keep the dynamics from becoming overpowering. It can work very well and really can set the mood for a great game. 6. What are your greatest musical influences/inspirations? Well obviously John Williams came first and foremost. I love loads of film composers like Jerry Goldsmith, Danny Elfman (particularly his earlier stuff), Bernard Herrman, Ennio Morricone, John Powell, Howard Shore, etc. I tend to have a fairly eclectic taste but Queen were a huge influence and were great songwriters. It sometimes amuses me to learn a new classical writing device and realise that I'd already heard it in a Queen song. In terms of inspirations I find it good to write music that accompanies "scenes" or even music to fit a specific location. In terms of writing RPG music I'll sometimes write a piece based on a game cover or even a description of a scene within an adventure. I've found the game "Esoterrorists" particularly inspiring for this and it suits my eclectic style. I've written rock, orchestral and dance music for this game! I also get to use loads of cool sound design ... I have an upcoming track where I'm using a dentist's drill! 7. What other projects are you working on? 8. If you could write the score for a movie version of any RPG, which one would it be? Well Star Wars might be a little obvious here but yeah ... I'd love to score a new SW film or tv series. Mutants and Masterminds might be fun. Honestly I think I'd love to score either a movie of a Cthulhu story or the Esoterrorists (which would make a GREAT TV series). RPGs (like videogames) are a new field for music. As technology becomes more integrated into activities I think the potential for interactive music grows significantly and this could prove to be an exciting field for new music. Thank you very much for the questions and having me today. 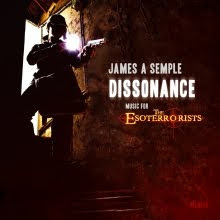 Thanks, James - you can read more about James and listen to some samples of his work at www.jamessemple.com. You know, one thing I miss about publishing 'ODDS' magazine are the interviews I used to do with people who have had an impact on the gaming world in one way or another. If you know of anyone you think is deserving of an interview then drop me a line. Hooray! It's the 1980s again! It's from the USA's 'Boston Herald' website. It says by the header title 'News & Opinion', I think they should drop the 'News &' part of that. Have a read of the comments. After a meeting with the bank and a long hard look at the figures, the shop is looking far too risky to open during the current economical situation. I have to think about the security of my family so I can't take the chance. Personally I'm devastated. Three months of planning, viewings, bank meetings and setting up suppliers has come to nothing. The business is registered so Halfling House Ltd exists, but there's little I can do with it at the moment. Thanks to everyone who supported us through this and we hope we can pursue this dream in the future. I enjoy playing background music in my games. Not loud, not overbearing and certainly not with lyrics (although Clannad's soundtrack 'Legend' - the music to the television show 'Robin of Sherwood' - is the exception) but soft and unobtrusive, so that you know it's there but you don't have to shout over it to be heard. There's the obvious music, like John William's 'Star Wars' soundtracks for my Star Wars games, Howard Shore's 'Lord of the Rings' score for my fantasy games, and the Matrix soundtrack for my Cyberpunk adventures. I try to use music that people may not really know. I've used Channel 4's 'Shackleton' soundtrack for games, and movie soundracks such as 'The 13th Warrior' and 'Army of Darkness'. Because the players might not recognise the music then they're not pulled out of the reality of my game and into the reality of the show the music was originally written for. In fact, I use music so extensively that certain music tracks remind me, and my players, of certain games. The aforementioned 'Clannad' album was used for a MERP game and when I hear certain tracks I don't think of Robin Hood, I think of Tere Swordsong travelling the forests. When I hear the main track of 'Chariots of Fire' I don't think of athletics, I think of my MechWarrior character Matthew Haskenn running from an exploding ammo dump. When I hear the 'Army of Darkness' march, I think of my friend Andy's WFRP character Findon Vance preparing for a final assault on a Chaos-wracked mountain. Music can be a powerful thing and can trigger memories or recollections and one thing that RPGs depend on is the mind. 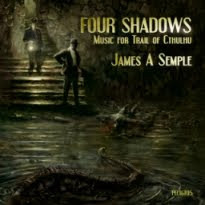 In fact, a composer named James Semple writes music specifically for RPGs, so the music you hear can't be attributed to anything but the game you are playing. They're an excellent example of what can be done with music during a roleplaying session. Nip over to his website to get a taster of the music he creates - you won't be dissapointed. Many moons ago I had a stab at Live Action Roleplaying, but we didn't really get on. Being stared at by ramblers as I hid behind a bush dressed as a giant rat didn't help. That's seven shades of crap knocked out of you right there. I've been wondering about it for years and, now that I'm being made redundant from a job that I've disliked for years, I've decided to go ahead and do it. I'm opening a gamer's store in my city. RPGs, wargames, boardgames, CCGs, all sorts of gaming stuff. The money has been sorted, the bank is good for it and the company was registered today. It's going to be called Halfling House Ltd, the tavern for gamers. It's in a historic city so we're maybe giving it a Tudor-style theme, like an old inn, but that depends on the decorating costs. We'll see. I've secured the shop property and suppliers and all that remains is getting the keys to the store and the funds firmly in place. It's exciting. Very, very exciting. 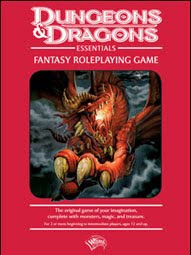 'Designed for 1–5 players, this boxed game contains everything needed to start playing the Dungeons & Dragons Fantasy Roleplaying Game, including rules for creating heroes, advice for playing the Dungeon Master, a solo play adventure, and group-play adventure content. Learning the game has never been so easy! I actually quite like the looks of this. Yes, it looks old school with it's early 1980's red-box colour and layout and it's obviously trying to catch the eye of oldskoolers, and it's just a way to introduce new players to get them hooked on the bigger game at large, but that's not why I'm attracted to it. You see, as a system I quite like D&D 4e but would love to see it trimmed down to a more manageable system - I'm not a huge fan of stupidly crunchy with power-card trimmings. If this box set gets me a game I can play yet keep in the loop as far as D&D 4e is concerned (a lot of people I know play it) then I don't have a problem with it. In fact, if it's anything like my old red-box D&D Basic set (God rest it's soul) then I'll not need anything else but this for a while and I can run my kind of games for my D&D 4e friends. Job done. I guess we'll find out how useful it is in September. Getting ready for that all important game. several faces are waiting for your first words. Are you ready? So here are a few tips to help you through those stages of preparation. There are many things to consider before sitting down to play. This doesn’t include actual scenario design or detail creation, but lists the simple things that you might need – even things that you may not think are important – for the game. Just make a note of each heading and keep it as a checklist. It’s not a great sign of confidence for the players when you sit at the table and click your fingers, saying for example ‘blast, I forgot the crazy ‘droid stats... and theNPCs... and the maps’. Hmm. That won’t help the game. Goes without saying, really. This is, after all, the most important part of the game. No details – no story – no game. Be sure you have the Player and Non-Player Character stats, the second most important part of an evenings play. No character stats – no game. This can be overcome by guessing games or re-creation but that’s not the point, is it? It may be a good idea for the GM of the game to keep hold of all the stat sheets, PC and NPC alike, so that none go astray. This will mean that the GM will have to remember them every game but that’s the purpose of this list. Having the players keep hold of their own stat sheets might be a bad idea – it only takes one person to forget their sheet and things are messed up. NPC stat sheets are just as important. Check your bag – have you got the maps and floorplans to hand? Then double check to make sure they’re applicable to the game! There are instances when the GM grabs the scenario, stat sheets and maps only to find that the drawings he has are for a previous adventure. Another important aspect – writing implements are an essential part of a game, especially an ongoing campaign, for note-taking and general bookkeeping. Make sure there’s enough for everyone. Also, make sure there’s spare paper for the actual notes to be put on. If you get several styles of printed paper then you’ll cover the main aspects of the kind of notes that are taken – plain for sketches, lined for notes, squared for maps. It’s all very helpful. And finally - sweets, drinks, vices – be sure you’re well stocked and, if possible, your players are well stocked also. Having to get up for a drink or anything else during play is a bit of a pain and slows continuity if it’s a trivial thing (‘Oh, I fancy a packet of crisps – I’m just popping to the shops’). Last night I ran the first part of my Dragon Warriors campaign, set in England during the Third Crusade. Prince John is conspiring against his brother Richard whilst he crusades in the Holy Land, the people are oppressed and abused under the yoke of the gentry and the Church, bled white by taxes to pay for foreign wars, and treaties and pacts with neighbouring countries are stretching to breaking point. Oh, and a Knight and two Assassins are being hunted down by a massive eff-off monster in an abandoned castle just north of Nottingham. Normal day, then. The players are Jason, playing an assassin son of charcoal-burners named Gabriel Black Burn, on the run from an Icelandic trader called Eric and Lords from the south coast who were about to embark on the Crusade until they found that the supplies they had been promised were useless. They blame Gabriel for this, as he was the one who delivered them, and so hunt him down. Eric, the man truly to blame, wants him silenced. Andy is playing the Knight, Sir Vincent of Guildford, a robber Knight devoid of home or lands, travelling the country trying to find a purpose. Unfortunately he fell in with Gabriel and decided to help him, for a few florins, with guarding the supplies. When the deal went sour he, too, was blamed and ran north with Gabriel. Finally there is Mark playing John the Smithy, an assassin who covers his face and true identity - Bilal Ali, Saracen assassin and hunter. He landed on the shores of England searching for the murderer of his brother, killed by a man during the peace in Jerusalem under the rule of the leper king Baldwin, with a scar that runs from across his face from hairline to chin and with one eye almost permanently closed by the horrific wound. It was a great game. I really, really enjoyed running it - the atmosphere was relaxed, the game cantered along at a great pace and everyone got into their characters. The Dragon Warriors system... well, this was the first time I used it under these conditions and it performed excellently. It was fast and furious, with dice rolls quick and easy (although I had to correct people rolling 1D20 instead of 2D10 at times) and the players, all of which had never played Dragon Warriors before, fell into it easily. We even created characters from scratch and even with three players it only took 15-20 minutes to roll for the stats and then another ten minutes to decide on their backstory. That's just great. I was worried how I'd get along with a system with no skill lists or that kind of thing but it turned out to actually be a relief to not have to worry about what skills the characters had. I just chose a target, modified it by the relevant stat and rolled against it. I tried to avoid spot ruling but even that was a doddle. All in all a good night and I'm looking forward to next Sunday's game.